Watch for this pair to release next month. Now that Kevin Durant's Nike line is using Flyknit, it's making sure to pick up on all the most popular colorways used on the innovative knit material. 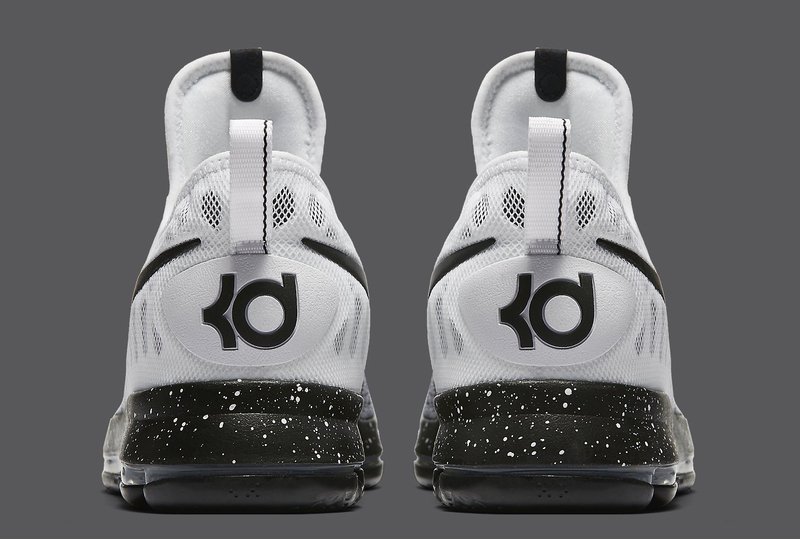 Take this Nike KD 9 for example, which has a black and white "Oreo" mix on the toe. 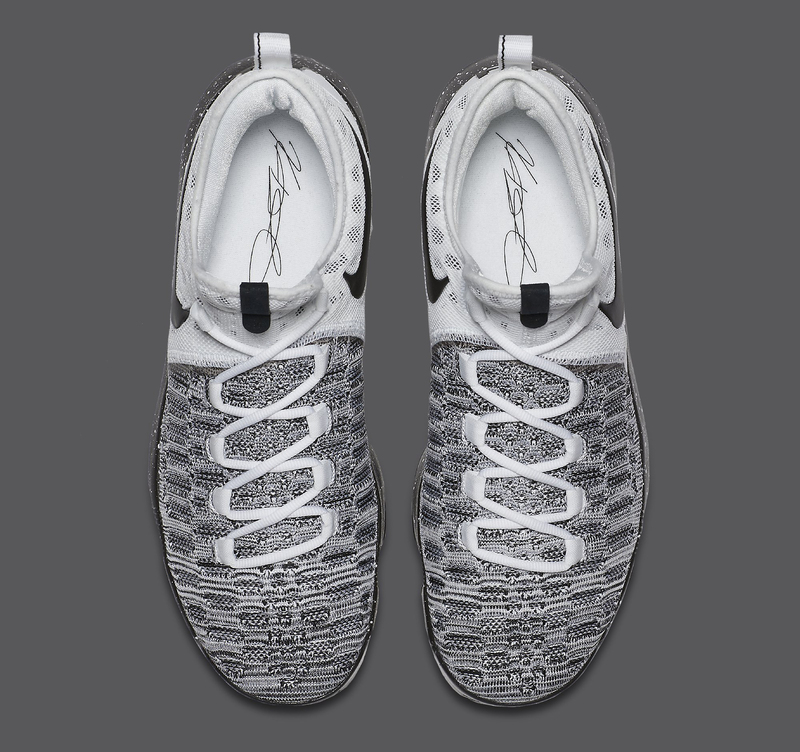 The combination doesn't have as much grey as the "Oreo" Nike Flyknit Racers and looks more like the black/white used on the "Beethoven" Nike Kobe 9 Elite. 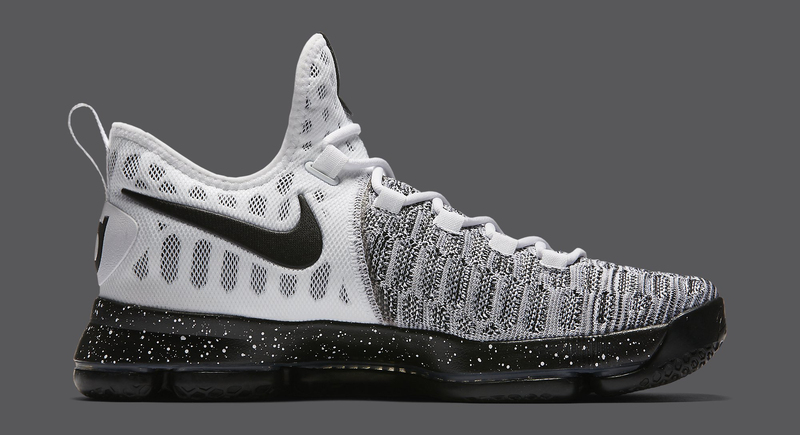 The KD 9 had a similar take on this colorway release this summer, with the "Mic Drop" pair looking almost like a reverse of this one. 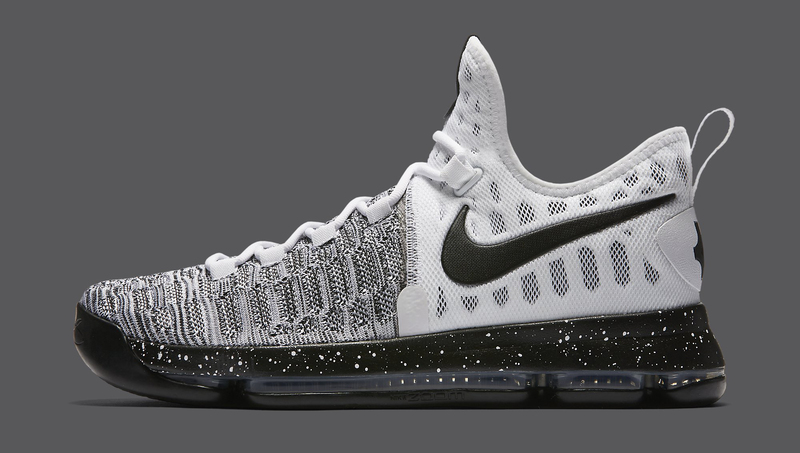 This Nike KD 9 "Oreo" style is said to be releasing in December.